What knowledge is needed to teach mathematics with digital technologies? The overarching construct, called technology, pedagogy, and content knowledge (TPACK), has been proposed as the interconnection and intersection of technology, pedagogy, and content knowledge. Mathematics Teacher TPACK Standards offer guidelines for thinking about this construct. A Mathematics Teacher Development Model describes the development of TPACK toward meeting these standards. The standards and model provide structured detail to further the work of various groups. The proposals may guide teachers, researchers, teacher educators, professional development consultants, and school administrators in the development and evaluation of professional development activities, mathematics education programs, and school mathematics programs. Niess, M.L., Ronau, R.N., Shafer, K.G., Driskell, S.O., Harper, S.R., Johnston, C., Browning, C., Özgün-Koca, S.A. & Kersaint, G. (2009). Mathematics Teacher TPACK Standards and Development Model. 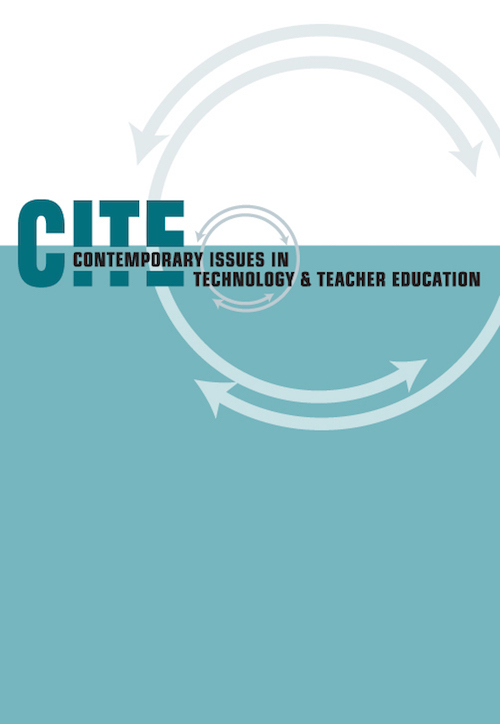 Contemporary Issues in Technology and Teacher Education, 9 (1), 4-24. Waynesville, NC USA: Society for Information Technology & Teacher Education. Retrieved April 23, 2019 from https://www.learntechlib.org/primary/p/29448/. Ball, D. L. (1988). Knowledge and reasoning in mathematical pedagogy: Examining what prospective teachers bring to teacher education. Unpublished doctoral dissertation, Michigan State University, East Lansing. Borko, H., & Putnam, T. (1996). Learning to teach. In D. C. Berliner & R. C. Calfee (Eds. ), Handbook of educational psychology (pp. 673-708), New York: Simon & Schuster Macmillan. Civil, M. (1992, April). Prospective elementary teachers’ thinking about mathematics. Paper presented at the annual meeting of the American Educational Research Association, San Francisco, CA. Earle, R.S. (2002). The integration of instructional technology into public education: Promises and challenges. ET Magazine, 42(1), 5-13. Ferrini-Mundy, J., & Breaux, G. A. (2008). Perspectives on research, policy, and the use of technology in mathematics teaching and learning in the United States. In G. W. Blume & M. K. Heid (Eds. ), Research on technology and the teaching and learning of mathematics: Volume 2. Cases and perspectives (pp. 427-448). Charlotte, NC: Information Age Publishing. Grossman, P. L. (1989). A study in contrast: Sources of pedagogical content knowledge for secondary English. Journal of Teacher Education, 40(5), 24-31. Grossman, P. L. (1991). Overcoming the apprenticeship of observation in teacher education coursework. Teaching and Teacher Education, 7, 245-257.
International Society for Technology in Education. (2007). National educational technology standards and performance indicators for students. Eugene, OR: International Society for Technology in Education. International Society for Technology in Education. (2008). National educational technology standards and performance indicators for teachers. Eugene, OR: International Society for Technology in Education. Kaput, J. (1992). Technology and mathematics education. In. D. Grouws (Ed. ), Handbook of research on mathematics teaching and learning (pp. 515-556). New York: MacMillan Publishing. Margerum-Leys, J., & Marx, R. W. (2002). Teacher knowledge of educational technology: A study of student teacher/mentor teacher pairs. Journal of Educational Computing Research, 26(4), 427-462. McDiarmid, G. W. (1990). Challenging prospective teachers’ beliefs during early field experience: A quixotic undertaking? Journal of Teacher Education, 41(3), 12-20. National Council of Teachers of Mathematics. (2007). Mathematics teaching today: Improving practice, improving student learning (2nd ed.). Reston, VA: Author. Niess, M. L. (2007, June). Mathematics teachers developing technological pedagogical content knowledge (TPCK). Paper presented at IMICT2007, Boston, MA. Niess, M. L. (2008). Knowledge needed for teaching with technologies – Call it TPACK. AMTE Connections, 17(2), 9-10. Niess, M. L., Sadri, P., & Lee, K. (2007, April). Dynamic spreadsheets as learning technology tools: Developing teachers’ technology pedagogical content knowledge (TPCK). Paper presented at the meeting of the American Educational Research Association Annual Conference, Chicago, IL. Pierson, M. E. (2001). Technology integration practices as a function of pedagogical expertise. Journal of Research on Computing in Education, 33(4), 413-429. Rogers, E. M. (1995). Diffusion of innovations. New York, Free Press. Shulman, L. S. (1986). Those who understand: Knowledge growth in teaching. Educational Researcher, 15, 4-14. Thompson, A. D., & Mishra, P. (2007). Breaking news: TPCK becomes TPACK! Journal of Computing in Teacher Education, 24(2), 38, 64. Walen, S. B., Williams, S. R., & Garner, B. E. (2003). Pre-service teachers learning mathematics using calculators: A failure to connect current and future practice. Teaching and Teacher Education, 19, 445-462. Wilson, S. M., Shulman, L. S., & Richert, A. E. (1987). '150 different ways' of knowing: Representation of knowledge in teaching. In J. Calderhead (Ed. ), Exploring teachers' thinking (pp. 104-124). London: Cassell.